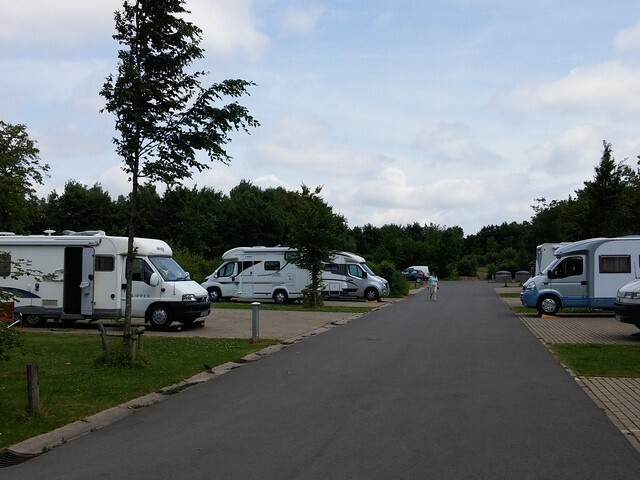 This Campsite is Ideal if you want to visit the Menin Gate. It is a very popular site so it may be advisable to Book, we did this via the Internet a couple of days before we arrived. 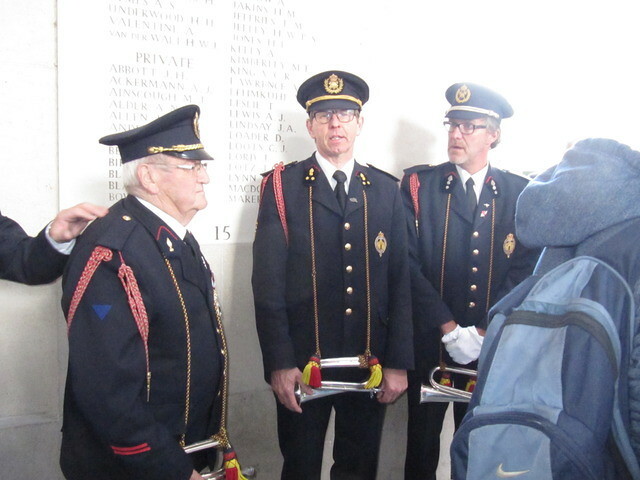 The 'Last Post' ceremony is carried out every night at 8PM by the Ieper Fire Brigade. 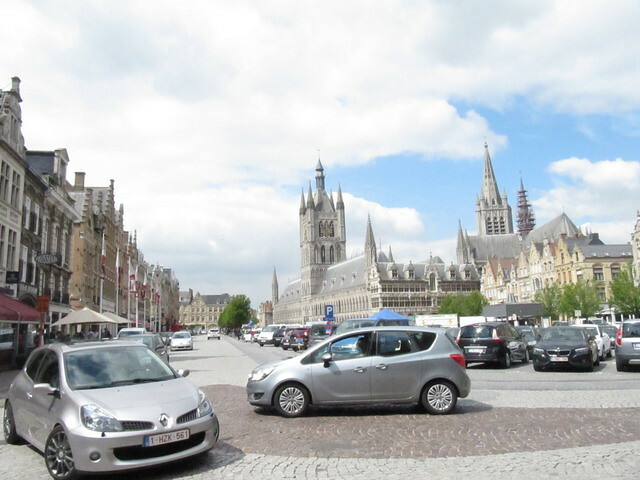 The Walled city of Ieper (Ypres) is well worth a walk around. 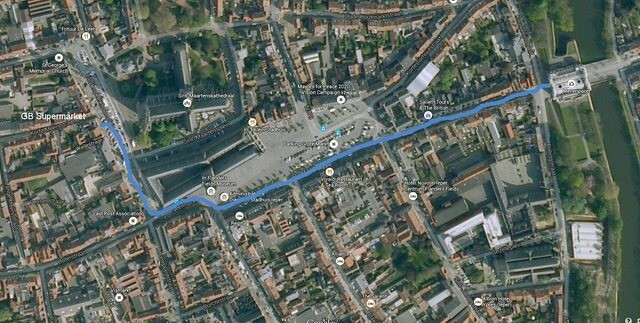 How far is it to walk to the Menin Gate? Are there shops nearby? Hi David it took about 20mins to walk to the Gate I'm guessing it was about haif to 3/4 of a mile. There is a Lidl, again about 3/4 of a mile away from the Campsite, you will probably pass it as you drive to the Campsite. There was also a small supermarket in the town about half a mile from the Gate. We might have a map, if so I'll scan it tomorrow and put it on here. 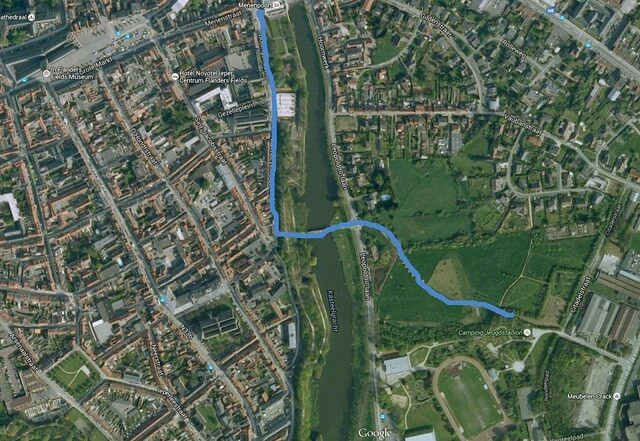 I Can't find the Map so have used Google Earth. 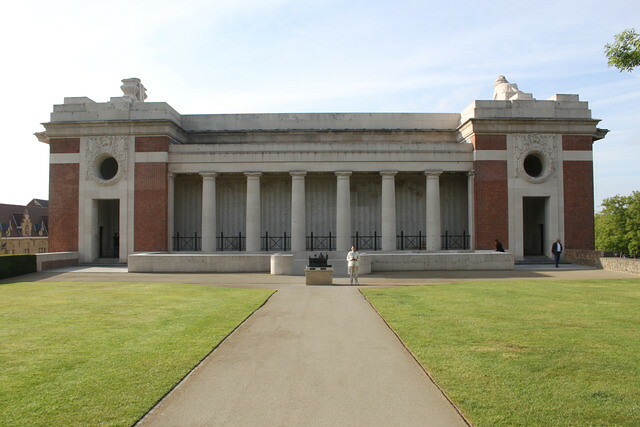 To get to the Menin Gate, head down the Path to the Right of the 'Self Check In' building, continue down the path through 2 Pedestrian Gates until you come to the road. Cross the road then cross the foot/cycle bride over the river. 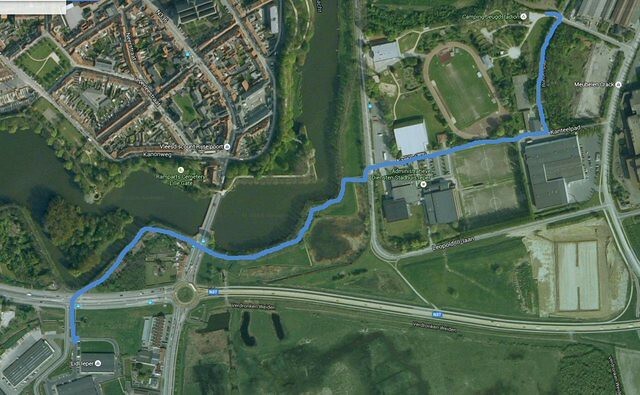 1) If you feeling fit, this is the most interesting route. 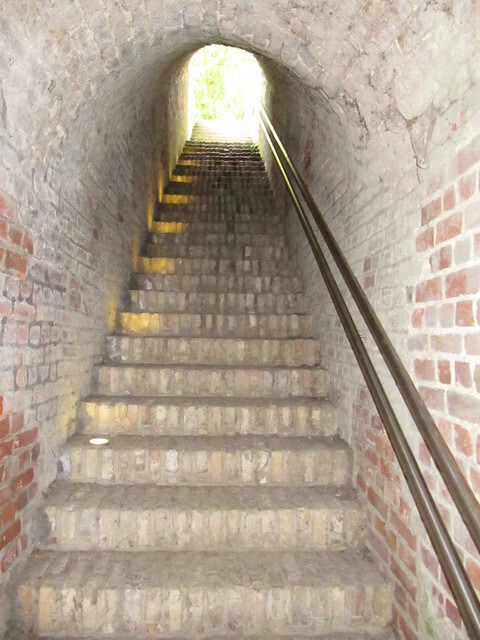 climb the steps to the top of the Walls. 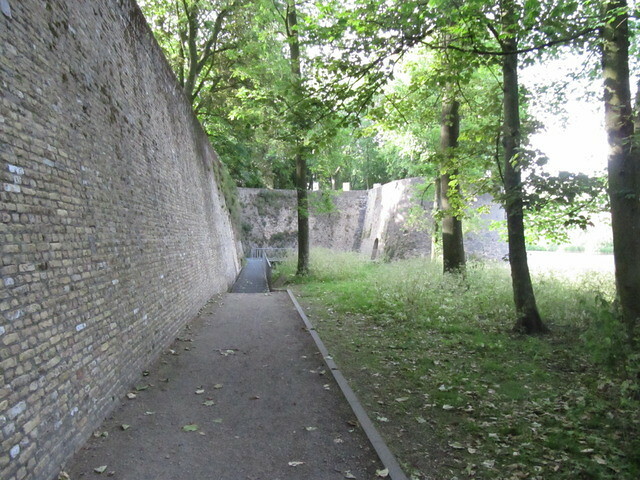 Continue along the wall to the Gate. 2) If your not feeling fit. 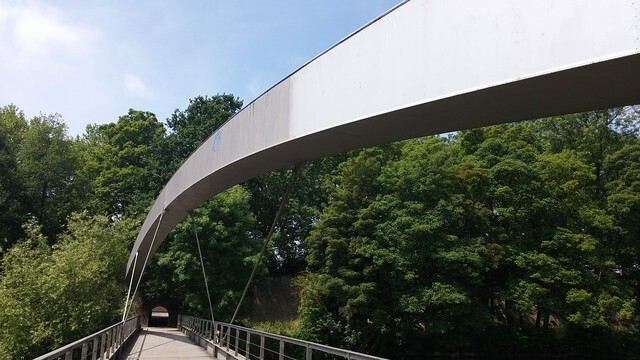 After you cross the Bridge continue through the 'Hole in the Wall' and turn right at the road, continue down the road to the Gate. 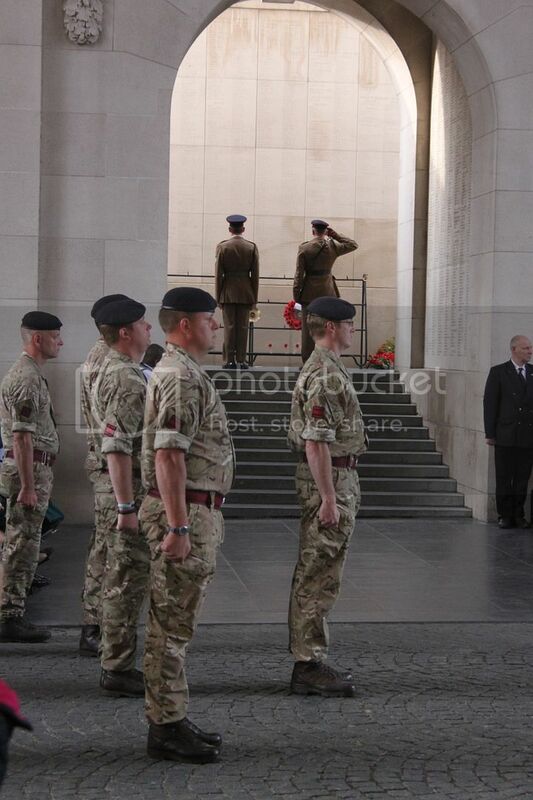 Includes some nice views of the Walls. Supermarket in Ieper, route from the Menin Gate to GB Supermarket. Thanks for taking the trouble to do that. At some stage I will need a knee replacement so I have to be careful how far I walk. Last week we were in London and on a couple of days I clocked up over five miles in total but that was in chunks rather than a continuous walk. Six months ago Margaret had a major heart operation so neither of us can over do it.